Active Print Shop for Sale being sold with existing Business. Shop has been at same location for 29 years and is ready for a new owner. Located next to the new Sopher project on Pembroke Road the Big Easy Casino. Property can be used for Light industrial so many uses apply. Also can be purchased with property next door which is currently Licensed as a Medical Marijuana Dispensary site AALLEAF INC.
Printing business being sold with book of business. Has been at same location for 43 years. All equipment and real estate being sold in deal. Includes car wrap and printing presses. Beautiful facility near Big Easy property values are rocketing up in this area. Don't wait grab this now!! Also sold in conjunction with 2329 which is a Medical Marijuana Dispensary. Melia Costa: Brand new construction: perfect for investors with daily, weekly or monthly rentals. Modern and stylish two bedrooms with a gigantic balcony, fully furnished with Italian leather couch and chairs, comfortable beds queen size beds with superior mattresses, European design kitchen and cabinetry and appliances, quartz counter tops in the kitchen and bathrooms with spacious showers, vanities and towel services, including bathroom robes. Best ocean view on south side. Enjoy all around water views from the infinity pool located at the roof, bar, on site restaurants, gourmet coffee shop, rooftop bar & grill, stores and more. Complimentary valet parking and pet friendly. Promenade in Hollywood Beach features free concerts, lots of stores. Middle River Estates: MID CENTURY NEW CONSTRUCTION. MODERN AND STUNNING CONTEMPORARY HOME IS A ENTERTAINERS DREAM. DRAMATIC OPEN FLOOR PLAN BOASTS VAULTED CEILING IN LIVING AND DINING ROOM. ALL NEW HURRICANE WINDOWS AND DOORS. NEW KITCHEN WITH QUARTZ COUNTERS, WOOD CABINETS, RECESSED LIGHTING, S/S APPLIANCES. 5 TON TRANE A/C WITH NEW DUCTS, GAS FIREPLACE, PORCELAIN FLOORS, ALL NEW WIRING TO THE POLE. ORIGINALLY BUILT AS A 3 / 2 IT HAS BEEN RE-DESIGNED AS A 2 BEDROOM AND 2 BATH AS TO PROVIDE A TRUE MASTER OVER LOOKING THE RIVER WITH EXPANDED BATHS AND CUSTOM REACH IN CLOSET. HUGE FINISHED LAUNDRY ROOM WITH WOOD CABINETS AND EXTRA STORAGE ROOM WITH FIRE PROOF SAFE. LAP POOL WITH EXPANSIVE MARBLE DECK AND DOCK. MARBLE CIRCULAR DRIVEWAY WITH 2 SIDE YARD WALKS AND SHED. THIS HOME HAS IT ALL. A MUST SEE. Weston Hills: This stunning newly completely renovated contemporary courtyard home epitomizes today's look in quality and design. Open concept with lots of flex space for you to tailor to your needs. European style kitchen features top of the line cabinetry, appliances include coffee maker, wine cooler and island which overlooks the very spacious great room. Stunning marble flooring downstairs & wood upstairs. Contemporary staircase with Venetian plaster wall and glass and metal railing. Master bedroom has sitting area and spa-like bathroom. Additional upgrades include new wood and glass doors, all led lighting throughout, all closets are built-in and 3 new air conditioners Separate entrance guest house with 1 bed/1 bath has also been updated. Screened freeform pool and patio offers complete privacy. Custom built 3 story town home one block off Las Olas Blvd in historic Colee Hammock. Top level master w/ whirlpool tub, separate shower and east and west balconies. The 2nd level is the living, dining, kitchen area with large windows offering great natural light. Sub-Zero fridge, Thermador S/S appliances, black granite counters, plenty of cabinetry, large pantry & laundry cabinet. Marble flooring throughout & central vacuum. Walk to dinner, beach, downtown. Stirling Oaks Estate: Your Dream Home just became available: Extraordinary Estate featuring an Indoor/Outdoor Concept with Spacious Kitchen, Living Room, Dinning Room & Entertainer’s Bar all overlooking your Pool & Exterior Dinning. This 4 Bedroom, 4 Bathroom offers great spacing and privacy for families of all sizes with 2 master suites, no through traffic on tranquil street, 14,000+ Sq Ft Lot & walkable to schools. Further highlights include a double sided fireplace, recessed lights & speakers throughout, outdoor shower, Gazebo, zen patio, garden, lush landscaping with exterior lights & sizable driveway for multiple cars, boats, basketball and more. Recent upgrades include roof, pool with cathedral screen, pool heater, A/C & driveway. 1st Tours This Sunday 12-3pm. Hawks Landing: IMAGINE YOURSELF IN A SOPHISTICATED ONE STORY HOUSE LOCATED IN ONE OF THE MOST PRIVATE OF SETTINGS *IN THE EXCLUSIVE GATED COMMUNITY OF HAWKS LANDING *CAREFULLY MAINTAINED IN A 0.3 ACRE LOT SIZE * LAKE FRONT IN A CUL-DE-SAC *OFFERS 4BEDROOMS/3BATHS *IMPACT GLASS DOORS AND WINDOWS PLUS SHUTTERS *SOLAR HEATED SALT POOL WITH FOUNTAINS AND SPA OVERLOOKING THE LAKE *IMPORTED HARDWOOD FLOORING IN MASTER BEDROOM AND GUEST BEDROOM *MARBLE FLOORING IN MAIN LIVING AREA *STAINLESS STEEL APPLIANCES *BUILT IN CLOSET SYSTEM THROUGHOUT *HUGE BACKYARD WITH PLENTY OF ROOM FOR KIDS AND PETS *THREE CAR GARAGE *SECURITY CAMERAS AND ALARM SYSTEM *BEAUTIFUL LANDSCAPING *LOTS OF STORAGE SPACE AND UPGRADES! *CLOSE PROXIMITY TO GREAT SCHOOLS. *ENJOY THE CLUB HOUSE LIFE STYLE. Riverstone: Magnificent open floor plan one story home situated in distinguished community. Graceful columns, high ceiling ,upgraded kitchen with stainless steel appliances, walking pantry. Surround sound, network system in the entire house. Master bedroom with sitting area. Fantastic patio for entertainment with a pool overlooking the lake. A Must see!!!!! 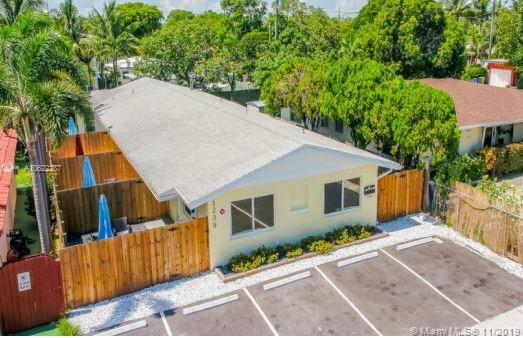 Lauderdale: Full renovation of unit in condo-hotel rental program. Beautiful, recently renovated W Hotel residences, with all Hotel amenities included. This unit is priced to sell. Parkland Golf & CC: Amazing 5 Bedroom 3 Bath 3 estate on an over 18,000 feet fenced water lot in a very private cul-de-sac location. Beautifully landscaped front & back, double solid oak doors, Jerusalem marble floors, Subzero refrigerator, stainless steel appliances & double ovens, crown molding, and impact windows. 14 ft high ceilings. Light & bright family room & formal living & dining room overlook the pool & amazing large water view. Master Bedroom suite has a sitting area and 2 walk in closets. The marble master bath is fit for a queen with his & hers separate sides and a jetted tub. PGCC has restaurants, state of the art fitness center, 3 pools and has a kids activity center which also includes 2 hours of free childcare! Golf memberships are available, but are not mandatory.